On time , efficient, friendly , knowledgeable. Terrific service ! Gino is the best!!!! I was so happy to see him back both because he is a nice man and I am happy he is recovering and he does the best job! We have been with Home Paramount for a few years now. Their servIce is Great and they have Great employees - which we usually get the same person most of the time but on occasion someone knew may show up. Very pleased with their service and would recommend them to anyone. Found Home Paramount at the Lawn & Garden Show In Timonium. They are very professional and do a great job. I would recommend them to anyone. I haven’t seen the ant 🐜 trails yet!! Yipee!! Gino expertise and professionalism are greatly appreciated! He is very professional and complete. We would recommend Gino, Paramount to all friends. Outstanding experience. Company was polite, very knowledgeable, flexable for my needs scheduling/unscheduling/rescheduling. Final schedule resulted in prompt response, received report emailed the next day. A company is at it's pinicle with performance like this. Wish the rest of the business world worked like this! Thanks, Frank C. Rees. Our technician gives us wonderful customer service. Goes above and beyond and promised he would take care of our mouse problem and sure enough he has. Our regular guy is back and does an Awesome job! The serviceman was,, a professional. Mr. Burt is always great, he's an asset to your company. Service was excellent as always. We are so glad Gino is back as our technician. The last service man that you all sent was excellent. Very courteous and thorough!! Love the service and Gino. James my service person is great. Yes, we are pleased with job Home Paramount has done for us. Burt is always prompt, pleasant and professional. He is an asset to your company. The tech is wonderful and very pleased with the company. Gino is the best --- very pleased that he has been able to return to his job. Burt is always timely and complete with his service. Fast reliable service as usual! Agents always call about appointments and when they will be at my home. Very courteous and provide comments about the inspection. I have always been very satisfied with Burt’s service. Your team is always prompt, courteous, and thorough. 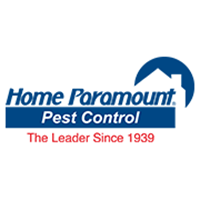 Having Home Paramount on the job gives us great peace of mind. The last guy did of very good job I'am Satisfy. Great service, technician who came to visit was very knowledgeable and helpful.